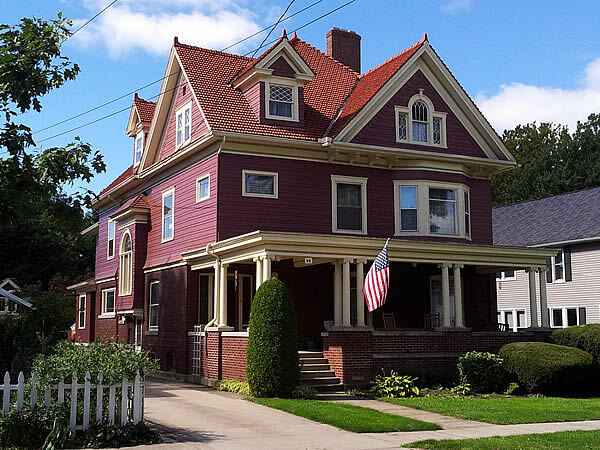 George G. Mason House was constructed in 1910 and is a large 2 1⁄2-story house that combines simple Queen Anne style massing and Colonial Revival style decorative features. The first floor is built of brick and above the house is sheathed in shingles. Prominent exterior features include the use of bay windows, a projected stair landing on the south elevation, and paired Corinthian porch columns supported on engaged piers in the balustrade.